A magnificent 5-star beach hotel. on the beach of Saint George in Naxos Town. The emerald Cycladic waters are sparkling under the sun. The sea view is simply scintillating. The beautiful sandy beach is inviting. This is the image you will experience once you reach the Nissaki Beach Hotel; a magnificent boutique hotel in the beautiful Naxos Island. 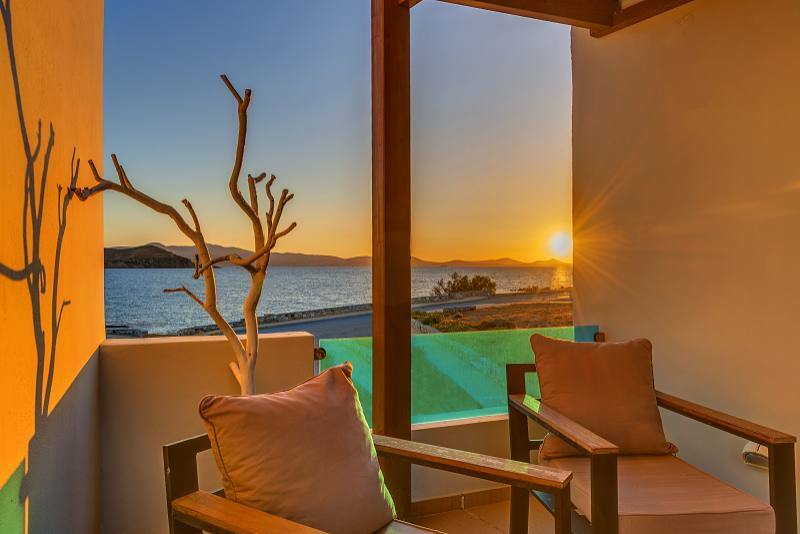 Just a stone’s throw from the main town, yet far from the bustling crowds that visit Naxos, Greece during the hot summer months, Nissaki Beach Hotel is a perfect blend of modern amenities, warm hospitality, affordable luxury and impeccable service. 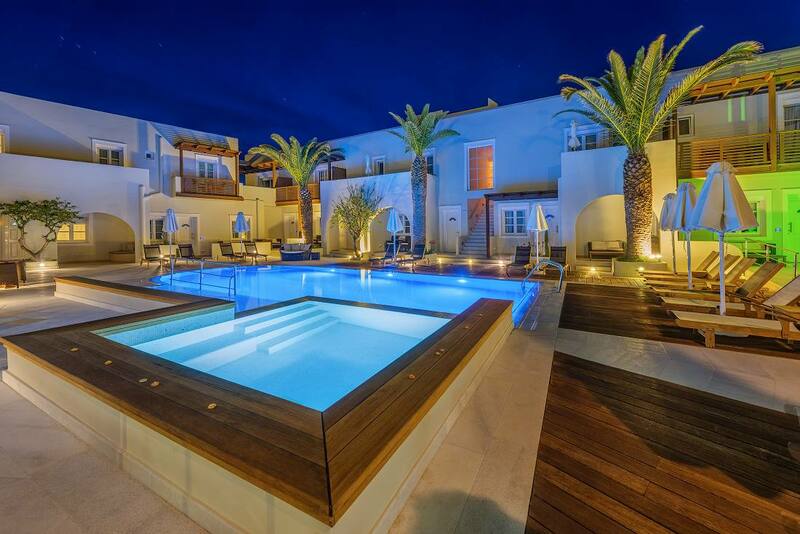 This is the philosophy behind the impressive 5 star hotel, which is located in Saint George beach in Naxos Island. 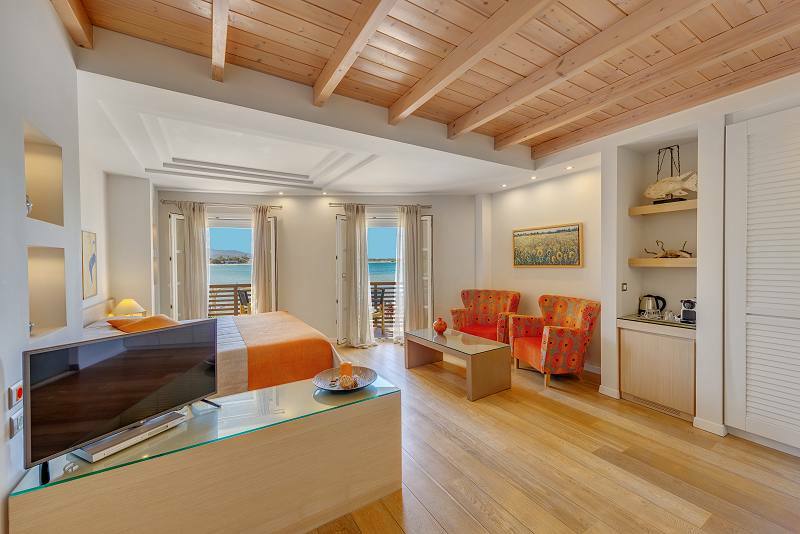 From architecture to decoration and from furniture to ambiance; everything in this extraordinary beach hotel in Naxos Town reflects its subtle luxury. Nissaki Hotel, with its privileged location on the beach of Saint George and near the Hora of Naxos, Greece, has been entirely renovated with detailed care, promising to impress you as soon as you set foot on it. This modern boutique hotel near the Hora of Naxos Island in Greece features 24 spacious rooms and luxury suites that breathe an exquisite minimalistic elegance. Large, comfortable beds, VDSL internet, plasma TVs, Nespresso coffee makers & Nespresso coffee, DVD players, hidden lightings, cool, soothing color tones and fabulous sea view from the furnished verandas ensure an upgraded stay. "Overall: Perfect location, great food, lovely people. A wonderful spot for a relaxed and quiet getaway on a less-touristy island. The staff takes well-deserved pride in making everything great. Location: Right on a pretty and peaceful beach! Easy walking to anything in Naxos Town..."
"A wonderful boutique hotel in a great spot at Saint George Beach with wonderful staff who were very friendly and helpful. The seaside dining area was so peaceful and the breakfast is amazing!! A wide variety of delicious choices that changed daily. 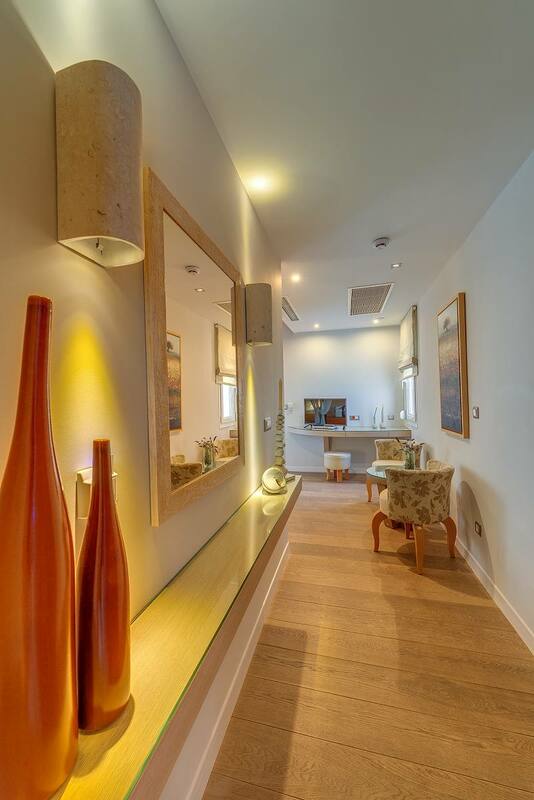 Only 10 minute walk into town..."
A Beautiful Gem of a hotel in Naxos! "Thank you to the staff member who checked us in at our arrival, and then helped us get a cab at our departure, she was amazing....and thanks to the server at the restaurant who served breakfast everyday with her warm smile, and thanks to the server who works at the restaurant/bar outside. She was a brilliant young lady..."